Today I’m going to teach you how to make homemade cranberry sauce. I know what you’re thinking. You’re thinking, what’s wrong with canned cranberry sauce? Who makes homemade cranberry sauce? I do. I make homemade cranberry sauce. And if you’re asking, what’s wrong with canned cranberry sauce?, then you’ve never tasted homemade cranberry sauce. Don’t feel bad. I had never tasted it either until my high school Home Ec teacher taught me how to make it in our little school kitchen. It was so good — the tartness of the cranberries with just enough sweetness was one of the best flavors I had ever tasted. And it was so, so easy. I insisted on making it that Thanksgiving (“Seriously, Mom and Dad, it is SO good. So much better than the canned stuff!”), and I’ve made it every Thanksgiving since. Well, except for the two years I lived in West Africa. No cranberries there. Come on, what are you waiting for? 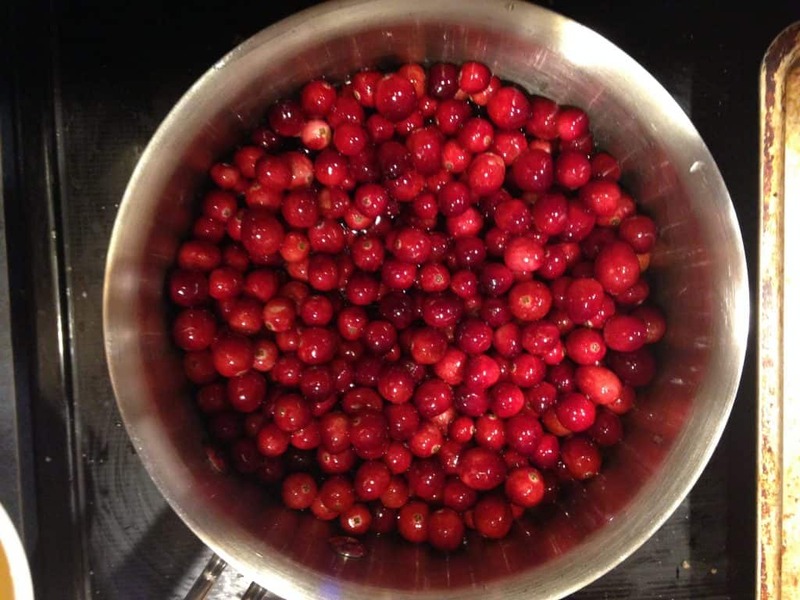 Let’s learn how to make cranberry sauce! It’s delicious, super easy, and so much prettier to look at than the cut slices laid out on a plate. I told you this was going to be easy. To start, wash and sort through your cranberries. As you run your fingers through them, find any that are soft and throw them out. You don’t want those guys ruining your sauce. 2. Next, combine the cranberries with sugar and water in a pot. 3. Bring to a light simmer and cook about 10 minutes or until your cranberries have popped. And that’s it — you’re done. Congratulations! You just made homemade cranberry sauce. Wasn’t that easy? 4. Let it cool slightly and then put it in a pretty bowl in the fridge. 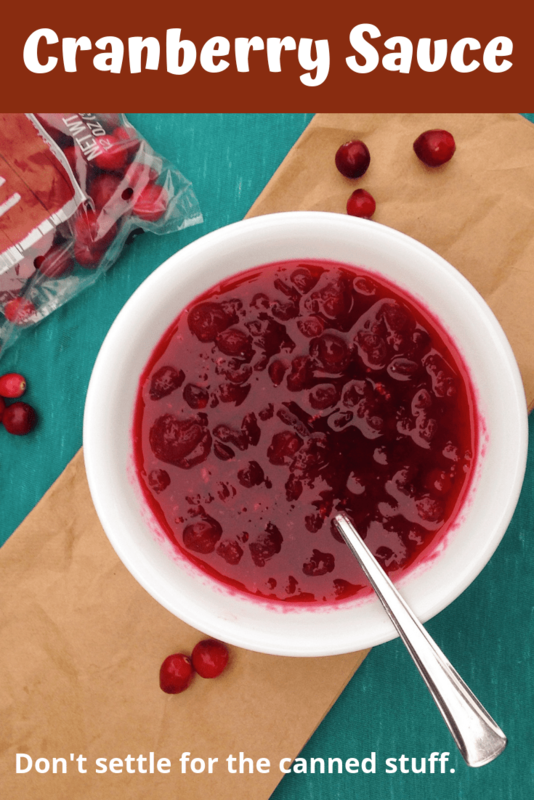 It will thicken and gel as it cools, and you’ll be the star of Thanksgiving or wherever you take your cranberry sauce. 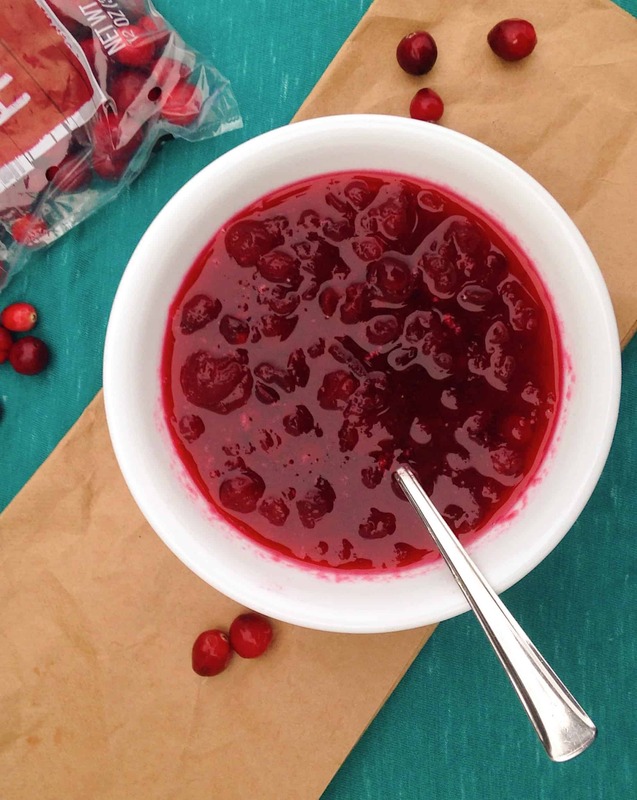 Now, this is going to sound crazy, but when you make this cranberry sauce, make a double batch. Because over the course of the next week or so, I’m going to share several recipes that you can make with your leftover cranberry sauce. And trust me, you’re going to want to try them. I’ll link to them here as I add them, so be sure to pin this recipe and come back for more cranberry goodness. Follow me on Pinterest for more delicious recipes and tips for building friendships over meals in your home!